For all those thriller and adventure lovers, Singapore is the place to be in when you have a weekend break. 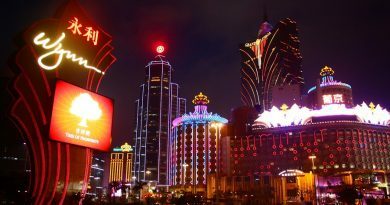 Singapore being one of the best getaway destination for holidays and small vacations, it is also the place to enjoy yourself and have the time of your life. 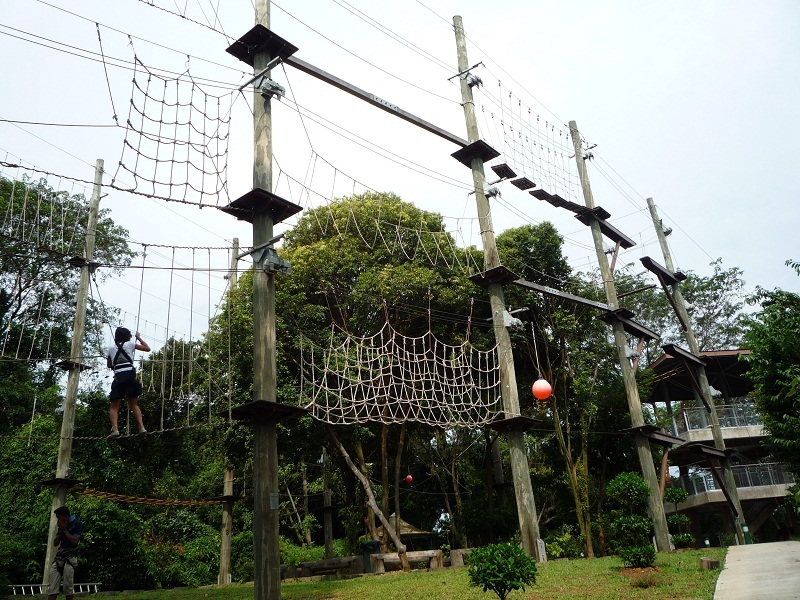 Full of adventure, fun and frolic, Singapore gives you plenty of places to enjoy yourself and indulge in some thrilling activities. 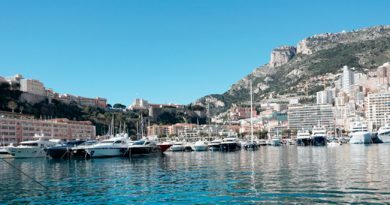 Here is my list of top 5 adrenalin rushing tourist attractions for you. 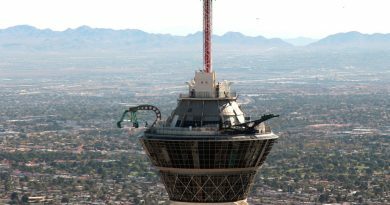 These 2 are the most spine chilling and hair raising experiences in the world. 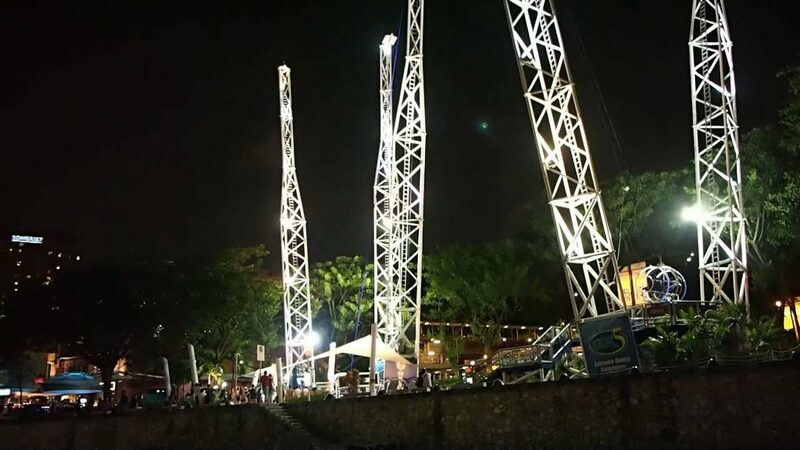 The GX-5 Extreme Swing is when you jump from a 50m height and swing at the speed of 120kph. I am sure you must be getting goose bumps right now reading this, but I assure you it is a once in a life time experience. The G-Max reverse Bungy is our very own bungy jumping where in you jump 60m in air and would go at the speed of up to 120kph. The thrill of both the activities is priceless and you would never forget it in your life. Extreme measures have been taken to ensure the safety of the customers and they have a 100 percent no accidents rate. Word of Caution: These 2 activities are not for the week hearted and one should be medically examined for heart conditions before indulging in such activities. Location: Travel to Clarke Quay by taxi or by your personal means and park in Clarke Quay or u can use the Singapore public transportation (Subway or buses). One of a kind experience and you get it only in Singapore. The SKI360 Degrees is a Cable skiing system where in you can ski or wake board in water with the help of a cable attached to you. The cable system here can put up to 8 wake board riders in water at a time and its one of the best thrilling experiences. 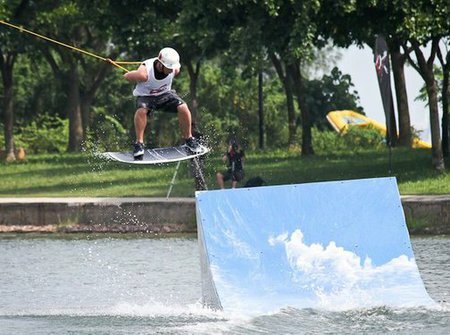 You can wake board with obstacles as well. Location: 1206A East Coast Parkway Singapore 449891. SKI360 Degrees can be found between the East Coast Food Court and the East Coast Seafood Center. Transport: Bus 401 on Saturday and Sundays and 197 on all days from Bedok Interchange. You want to learn Wake boarding, then this is the place to be. 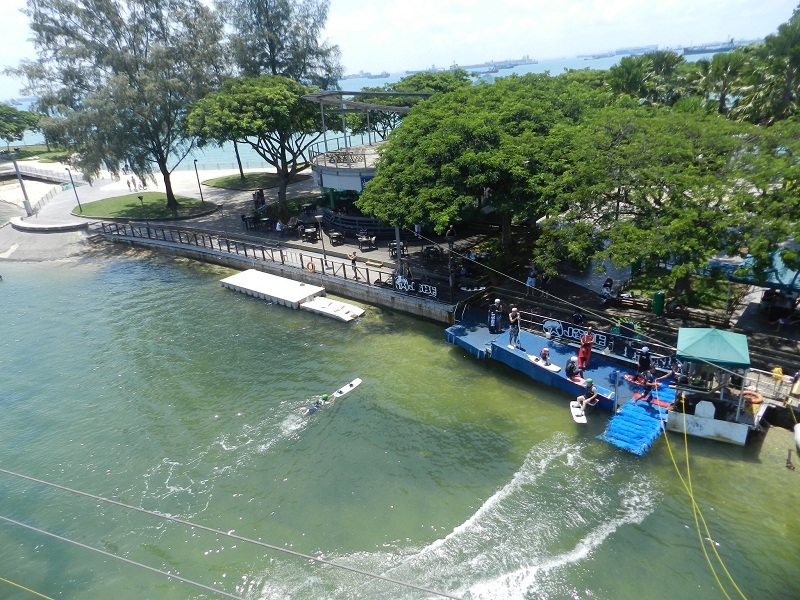 A number of schools teaching wake boarding are located at the Marina Country Club. Learn the basics and become a pro very soon with well trained instructors to teach you wake boarding. 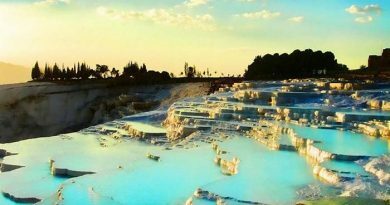 This is a great place to enjoy a thrilling holiday. Why go into high sky for a sky dive when you can experience it on the ground. Yes! What I am talking about is the Singapore IFly. This sky dive simulator is one of its kind and to experience the thrill of a sky dive from 12000 to 3000 feet in the sky you need to visit Ifly. In one ticket you get to enjoy 2 sky dives in the flight chamber of the centre and they are sure to make a mark on your mind. The wind tunnel is designed for sky divers to enjoy indoor sky diving with the same thrill as the outdoor one. Plus you get views of the South China Sea. 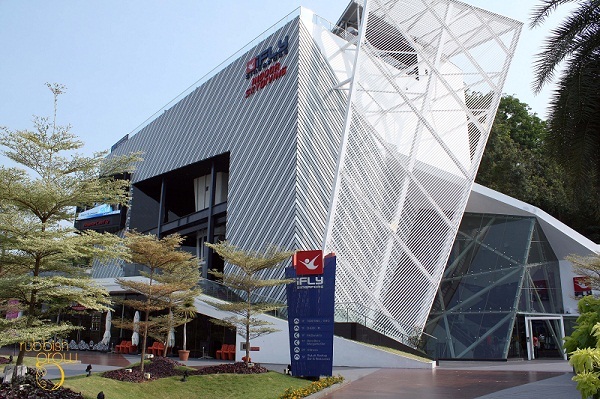 Location: When you visit Sentosa, you need to travel to the Siloso Beach front and Ifly is located beside the beach Station. You can board a bus to Sentosa or simply take the tram, train or even taxi till the Beach Station. 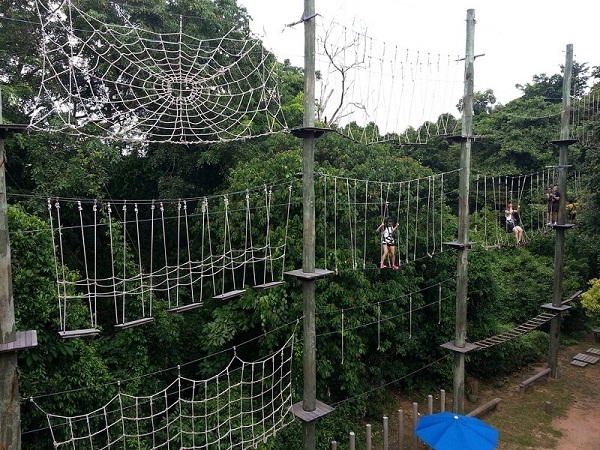 For all those who like the feeling of their adrenalin rushing through their bodies, the Megazip Adventure Park is the place to be when in Sentosa. 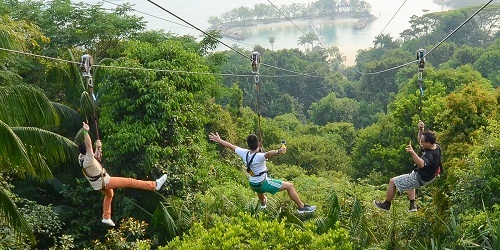 You get to climb Zip wires, experience a free fall with a simulator and experience Ariel rope courses. Indulge in Flying Fox and fly over the jungle at the height of 72 meters above sea level and over a stretch of 450 meters. 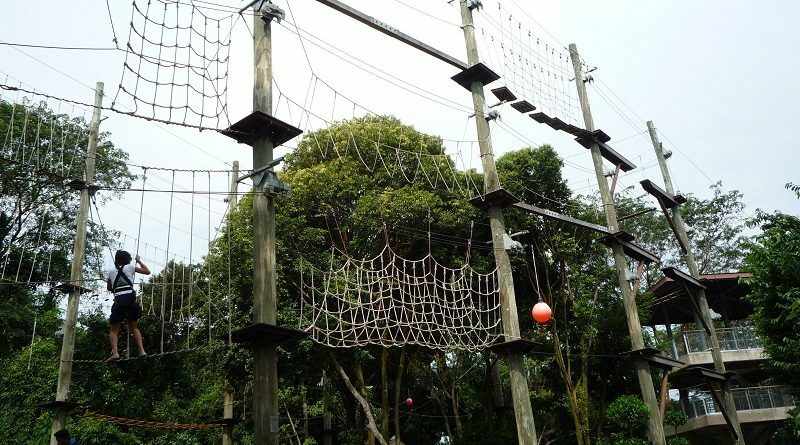 You can participate in ClimbMax which is an obstacle course in the treetops, complete with shaking bridges and swaying ropes. For all the “jumpers” there is the MegaBounce which is a trampoline experience which is out of the world. How to get there: You can either board the Sentosa Park buses which would take you to the Megazip Park or if driving on your own you can park at the Imbiah Lookout car park.